What does it mean to dream about houses and homes? Dream Interpretation: house/home/residence in dreams – what do they mean? Have you dreamt of houses or apartments, then these are often images on your personality / who you are. Especially if it is your own home in the dream – whether it actually looks like the home you live in, in reality, or not. If it is a different home in the dream, it may just be a picture of a new and different version of you – something you can become or are becoming. The different rooms (including 1st floor, attic, basement, etc.) will then be pictures on the sides of your personality. Your house might of course also simply mean your house. The following describes the importance of housing / homes (houses and apartments) in dreams. A house – typical meaning in dreams. A house / home has a protective function. When we are there we are mostly secure; we feel at home. In this picture, the house (where we live), is that which “surrounds” us, the home in which we feel at home, and thus the personality (and related behaviors) that characterizes us and in which we “feel at home in.” Some psychologists would call it our “self” – an image of who we are. Rooms / spaces as images on the sides of our personality. In addition to the above, the different rooms in the house – known and unknown – represent aspects of ourselves – known and unknown. I for example dreamt that I moved into a new apartment, where I found a door to a basement which I did not know was there. The basement was filled with brushes, colors, and all kinds of paint equipment, which actually belonged to the previous owner. I realized that I had some artistic / painting skills, which I did not use, but which I earlier had made ​​great use of. In this context, the basement is as an image on my unconsciousness, as it lies beneath my consciousness (ground floor). I have subsequently used my drawing skills in the processing of my dreams. I have drawn important symbols in my dreams, and whilst working on this, I caught sight of what the specific dream symbol in a specific dream symbolized. Similarly, different rooms in the house, as mentioned earlier, are pictures on the sides of our personality. If we in the dream are afraid to go into a certain room, this will typically be about our relationship with that part of our personality that space represents. If we for example know that this space is filled with musical instruments and we do not dare to go into it, it can be about a fear of living out our musical sides in reality. A fear can be triggered by an inhibiting mindset of “it’s low status / wrong to play music” (something you might have gotten with you from home). Upper floors of the house / home can represent more intellectual and spiritual sides of us. The facade is similar to our façade – the way we want to be seen on the other, where the contents of the house can look quite different than the “polished” / clean facade. A central place in the home is the kitchen – this is where we are nurtured – in dreams this is the mental nourishment. Is the kitchen in a dream an uncomfortable place to be, it may be an image that we give ourselves mental/spiritual sustenance in an inappropriate way, through harmful thoughts, etc. The childhood home in dreams. If we dream about our childhood home, it’s usually something in us that is shaped by/points back to events in our childhood. In addition to the above, the kitchen/dining room in our childhood home is often a place where we have had very socializing moments with our parents and possibly siblings. There can be many patterns – especially how we communicate as part of a family. The dreams here can show how we have learned appropriate/inappropriate ways of being with our dear ones on. Have you dreamt of a house/home – perhaps your childhood home, then don’t hesitate to write in the comment box below. NOTE: Dreams are 100% individual, and when you dream about houses and/or homes, it’s almost certainly about something else for you than it is for your friend, who also dreamt about houses and/or homes. Dream interpretation / dream analysis is sometimes a difficult art, and a particular interpretation of a dream is only correct if you feel “affected” by it. Therefore, it is not certain that the above mentioned interpretations are relevant to you. I have this reoccurring dream where I’m looking for a home. My childhood home. It”s like I’m always returning there. The dream began with me leaving my grandmother”s house. There’s always some conflict or something. The dream changes all the time, with me on my way to the house, or standing in the yard, in different rooms. Other times, there’s construction on the house or the house is in really bad shape. No foundation, missing doors etc. Once the house disappeared, and in it’s location was a new foundation. The last dream occurred last night, the house look old and needed repairs, I keep thinking that I will have to tore everything down and start from fresh. I had this dream last night where I was in a house and there was someone close to me trying to fix it up to sell it. The interested buyers came in and said they couldn’t buy it because the sheetrock was nailed into the wall instead of screwed. The house then began falling apart, and this all started in the living room. The house was dark, no light and uncomfortable. The emotions of the people around me were all negative. What could this mean? I had this dream two nights ago. I came back home after walking my three little puppies in the woods. The puppies were healthy and playful. I took one puppy with me and came inside the house while I left two puppies in the garden. I was holding the puppy in my arm and went to the dining room that looked exactly the same as the dining room in the house where I grew up. The room was dark. I look for food for the puppies. I saw a dining table that has a lot of stuffs on top of it and also noticed that there was no dining chair. I opened the refrigerator but could not find any puppy food. I called my mom and she came to help. She went into kitchen and told me that she found the food. I saw a cardboard box on the corner of the dining room and saw a black cat hiding in it. The black cat jumped up when I approached and tried to attack the puppy that I was holding in my arm. I pushed the cat away and the puppy was safe. I am a wife of a loving husband and mother of 3. Weve lived in our family home for 10 years and dont plan on moving ever. I have the ability to lucid dream. I trained myself to be able to when i was a teenager. So to the point: over the past few years i have been having many different dreams with different people and different content but every dream has somthing in common. 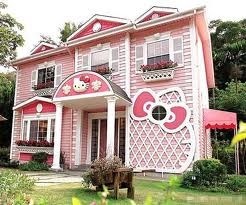 Im in the market for a house for my children and i. My husband is no where around and in my dream there is always an urgency to find a home that would suit my children and i. The strange itching feeling these dreams give me is very nagging and im jut wondering if you may have any type of insight of what it may mean? I dream of moving into a house that is fully furnished . When I leave a room and try to go back the door is gone I can only go forward . This is sad GOD Didn’t change people for anything. I can’t believe how you charging people for a gift that GOD gave to you free of charge. This is wickedness in the sight of GOD. All throughout the Bible you don’t see not one person charging people to interpret their dreams not Joseph or Daniel no one. Wat you should do it give people the option to donate to you. thank you for your comment, which I cannot resonate with though. I believe we need to discover the gifts and talents that God has given us, and then be okay with making a living on them. Your idea on donation is good, I am afraid it won’t be enough for me and my family though. I am sure God is very delighted to see that I have discovered my gift, AND that I am able to make a living from it. There is a house I dream about. It is always the same, and has waltzed in an out of my dreams for years. It is a large, old house. Brown brick, red roof. Low,black wrought iron fence surrounding an odd, triangular yard. Three visible stories from the front, but the back door, going into the kitchen, is on a level below the street. The house is empty, but familiar. I walk in and it feels like home. The house is full of heavy, golden-toned wood with a flaking but rich finish. The floors are worn. The ceilings are high. The first level is four rooms in a circle, with the staircase facing the back of the house, rather than the front door. The second level is in better shape, with red carpet, and always, eventually, a chandelier. There are many bedrooms here. And then to the attic, where it is one long room. The two entrances, on far sides, are from platforms. Then the attic goes on an uncannily long way. This is normally where I realize I am dreaming, because this attic doesn’t fit the footprint of the house. As I cross the attic, things appear. But while the house is familiar as an old book, the things in the attic are not mine. In every dream I go in, and I already know where all the rooms are and what needs to be done to renovate them. In every dream, there is either the feeling that the house has previously been subdivided into apartments (and in these dreams I am frequently returning after being a renter in the first floor left-side apartment), or a looming fear that it will be if I don’t own it. Either way the house is for sale. Every dream ends somehow with purchasing the house, and having many people, some familiar, some not, filling the rooms, especially on the second floor. And always a dog running around the odd, triangular backyard…normally my old Great Dane. All the details, with the exception of the apartments, stay the same. My daughter is having recurring nightmares of the home we cannot live in anymore and will be destroyed because if mold. We have been through a 6 year battle with our insurance anyway we have had to leave our belongings behind. In her dream someone of out family members passes away. Maybe you could help to explain things to me. Marisa has also had some medical issues lately that are difficult and has withstood some bullying at school. We are worried. She has graduated and will be starting college soon nearby. I’m having a reoccurring dream about being at my grandparents house (they have both passed on) and the house is empty & appears to have been vacant due to when I open the doors to certain areas there are cobwebs thick. Hi I have a Reoccurring dream about the house I am living in at the time been two but a few in those house that I keep finding secret unknown rooms when I find them I am excited about what Is in them I have recently moved and last night had a dream that I had a extra room that had an en suite in the dream I knew about this room that I do not actually have but I was tidy it and found a door with led to a huge closet make up room which then led to a fully working spa which then led to a secret garden which had a huge amusement park and was full of people working ect and in his dream I was with family working out how I was going to run and Keep this amusement park. I have also had dreams in the past going back to when I was a child a pub we used to go to or my childhood home but in these dreams I have found room but in these rooms iS dark scary stuff but I want to see what’s in the rooms but I never manage to get them open. I had this dream last night that my mother and 2 of my siblings were giving this new house. The thing is the house they had gave to us was in the mountains, and quite up a drive in the mountains. All I can think about was when my mom and I went to work it was going to be a heck of a drive to get off of the mountain. And if I went out with my friends I wouldn’t be able to because it would be too dangerous to go back the mountain because of the animals and darkness. My brother goes to get the mail and had left one door open, and I went to go close the door and I walked outside to see our New yard and I looked at the snow. I decided to put my feet in the snow and I slipped but I hold on. Then I get back in the house and close the door. I have seen loosing my brother’s I-phone in a party while drinking. He doesn’t have an I-phone. Actually in dream one small boy asked me for the phone. I gave it to him. But he refused to give it back and ran for his home. Continuously I have been watching this dream for past couple of months. Please interpret the meaning of it. thank you for your comment – and not the least your very interesting dream! I get very many requests everyday (via this website and e-mail), and I simply cannot keep up with them. This is also why I have decided to no longer help out in this way (for free). Have you already downloaded my free guide? This guide can definitely help you some of the way in gettting to understand your dreams. You find it here: http://www.michaelrolsen.com/newsletter (you also sign up for my newsletter with valuable information about how to understand dreams, you can always unsubscribe). Best regards – Michael. I’ve been dreaming about a place to live. The first dream was that I was given this little house close to my old house (the house I live now). This little house had lot of light and I was exited to have my own place. The second dream was about a mansion that I was given to live in but has to share with 2-3 other people the house had lot of rooms and it was very big. I chose one of the largest bedrooms with a very large bathroom. My wife is having recurring dream where she and I are at a home. In that dream, she tells me that we will always have a big party where many people attends. However, at the end of the party, no one will leave our house. So, my wife spends most of the night kicking people out of our house from room to room. She also said that when she returns to the first room, people are back there. She tells me that she wakes up tired since she has been kicking people out all night long. Not too sure what this means. Thank you. I had a dream that my boyfriend was sitting on the toilet in my parents bathroom (in the house I grew up in years ago) and I was feeding him black berries. I had a dream that my house was being renovated by my brothers. What does that mean? I had a dream and was in a house in which we have rented and the floor was made of wood. But, some of the wood became weak and if I step on it i might fall, then my Wife came and inform her. But the Landlord came that he will refurbish the house. And he did and he used gold to renovate the house and it became very very nice. What does this mean? Hi, I keep having dreams that are not necessarily nightmares but are not happy either. Just weird. And they keep occurring at my deceased grandmother’s house. She’s not ever really around in them, maybe once or twice, and when she is, she doesn’t really stand out much. But the dreams either occur inside her house or outside and in the neighborhood. For example, last night I had a dream that a long time crush of mine was a postman. I went outside in the back yard to talk. I ended up getting in his vehicle, falling in love with him. As we were about to drive off my ex was coming down the alley. He ended up trying to follow us, which is what he would do in real life, and chased us around the neighborhood. The hunt got serious and my crush ended up dead in the end. All taken place around her house. Not all the dreams end up this way, but it’s weird that her house is a constant setting for them. Why? I have a recurring dream, I have it at least once every 2 months. Me and my partner are walking around a spacious house, which is ours. Not ours in real life, but the general feel of the house in the dream is, it’s ours. But then all of a sudden, I always remember we have a basement, and in that basement is a huge openplan gorgeous modern home. That is always empty. There are no windows. Its not a nightmare at all. When we are in our home, we are calm. Then excitement when I remember we have the basement, like we completely forgot it was even there. And we never use it. The dream ALWAYS ends when we get to the bottom of the stairs. After seeing it all. I just can’t grip what it could be about?! I have had similar dreams about houses before, but this one was different. I dreamed that I was living in my home, but still had an entire houseful of my things at my old apartment that my children and I lived in while I was in college, about 20+ years ago. The apt was in disarray and had been broken into by drug users looking for things to steal. While in the apt I was confronted by one of these people coming in through a window. I am frightened initially, but agree to let the person have things I no longer want or need. There are also kittens, several of them, in the apt and I am worried about what do with all of them. I have pets of my own and one who had surgery on Monday and he is having some problems. I am under a lot of stress financially as well. I also dream at the same time that I missed an entire semester of a college class. I dream that one often. I was raised by my grandparents who both passed away several years ago. I keep having these recurring dreams where I’m back at my childhood home & it’s been renovated or is being renovated by the new owners. Sometimes I am excited by the changes & other times I am upset. I will say that in real life I am bothered by the fact the house in no longer in our family’s possession. Thanks for any insight you may have. Walking down different roads and seeing nice houses..every corner i come around I end up back at my home…..I have a beautiful home, 4 bedroom, 12 acres, pond, waterfall etc.. Just not sure why I keep dreaming this same dream two to three times a week for a few weeks now? I have this dream that I am going back to college, leaving my job, and getting a master’s. I have this dream A LOT even though I have no desire to go back to school. When I go back the majority of the dream is looking for a place to live. I can never find one, or there is something always really strange about the place I find. Never the same place. Like its a commune, or it has tiny tiny doors, or the ceilings are really low, or its an old house falling apart, or its really really far from campus. Always something wrong. And I end up wanting to go back home and I’m home sick. What does this mean? I keep dreaming of someone’s home (parents neaighbors home) moving location. It’s the same dream that I keep having constantly. Like I go visit and I notice that, that home is no longer there and they decided to just move the home from location. I find it so strange because the home is huge and I always wonder why they move being such a huge house. This might sound strange, this home that I am referring to belongs to a guy that liked me a lot. He got married maybe within the past 5-6 years and he decided to build a home right by his parents which are my parents neighbors. I never liked this person, I could only see him as a friend but it’s his families house. I have a boyfriend who’m I’ve been with for 7 years and I don’t like this guy like in a romantic way but it just baffles me that this strange thing happens in my dream. I would appreciate some feedback please since it’s a recurring dream. * Sorry for my poor English. Plz interprete my dream. I really need to know it. My recurring dream places me in a house , 1 or 2 stories with many many rooms, too many. They are always filled with family members. My mother always has a room. In my dream I always go room to room inspecting each space. Some rooms are run down while others luxurious. Sometimes I’m in a mansion other times it is a trailer or an apt. I always feel constrained to this house. I can never leave. There are no cars and the outside world almost seems subconscious. I’ve had this where I was in a new house that I had never seen before. In my dream all that I remember I was just cutting up food and all I could see was the kitchen. It looked nothing like what I was living in at the moment. & a few months later we moved into a home and I was cutting up food in the kitchen and it was like I had a déjà vu moment. Why did I have a dream about a house I’d never seen & then happen to move into it? Hi I had really strange dream last night I was at my childhood house that we lived in for a couple of years, my mum died a few years back know and she had cleaned the whole house some of the house I didn’t recognise, looking out of the window was grass and stones and loved really well kept from the outside there was other windows that I thought belonged to the neighbours. I then found 2 doors that I had never seen before I went into the first room amd it was empty there was also 2 other rooms I knew about but in this room I decided to open the Curtains and it was the window I was always curious about it was mine I was so confused, then I checked the next room I instantly felt anxious the room was full of outdated receding furniture it felt like I traveled back in time the room was untouched and full of dust I didn’t go in and explore as it made me feel really uncomfortable I can’t get this dream out of my head and would love to know what this dream means. Hello, I cant remember too many dreams but, lately I’ve been dreaming houses/homes and I always remember it vividly. Lately, I dream about a huge house and I saw my friend in there and I was told her daughter just bought it. The color is gray and I saw a stairway going up on the second floor. I just look at it but I did not go up. What really amazed me is the size of a lot. It is really huge and the size of the house itself. Can you translate my dream. thank you. If we in the dream are afraid to go into a certain room, this will typically be about our relationship with that part of our personality that space represents. If we for example know that this space is filled with musical instruments and we do not dare to go into it, it can be about a fear of living out our musical sides in reality. A fear can be triggered by an inhibiting mindset of “it’s low status / wrong to play music” (something you might have gotten with you from home).very well. 😣 I dreamnt that my Mom left me off at my grandparents house. I went inside the door unlocked and I was greeted by what I thought was my neice. She showed me something from inside a deep black oal like small table stand like dresser. I went alonng with it but I didn’t seem to pay attention to the object. She went to another room and I couldn’t find her. I looked down and my clothes were gone! My mind went into freak out mode! I needed clothes! I needed them now! So I ran and grabbed a blanket to cover myself. I was calling for my grandparents and neice but none of them came and it was utterly silent. I was afraid because my grandfather does not live at home any longer he’s in a nursing home and my grandmother past away about 8 years prior. I felt like I was fully awake. I sat down embarrassed and looked out the window hoping my mom’s vehicle was outside but she wasn’t out there. Its a town with less than 100 people so I wasn’t afraid of a stranger barging in but to be naked is to feel vulberable! I ran scared into my grandparents room but there was only one outfit that was my grandmother’s favorite sitting on their beautiful bed and so I tool the chance and put it on. Looking into the bedroom dresser mirror I fell backwards at the sight of my grandma staring at me so I blushed. She had on the same outfit but her vibrance and state of life was back! Last time I had saw her she looked so… Pale and hued, drained of a soul and weightless. I choked but when I realized she was just a reflection I cried amd placed my face to the bed and it smelled of her scent. I sat up and called for her to ppeasw come to me and when she said the samw back in the reflection I ran to the mirror and tried to go through it but alls I did was touch it. My breath sped up as if hyperventilating and I cried harder shouting at the mirror but its lips moved the same as mine with the exact same words. I placed my palm to my cheek and she did the same! I moved to grab a tissue and so did she and then it was my normal reflection. I then grabbed the mirror and begged to see her reflection again and then her cat that was killed by a car suddenly came into the room and rubbed against my leg. This cat hardly ever wanted anything to do with me or grandpa it was always grandma’s cat! Cuddling up to her and when he rubbed against my leg I smiled down at him and he meowed before vanishing. I walked out onto the side porch that led to the two seperate gardens and sat in the bed of flowers she had always loved to sing and talk to and had died and had refused to regrow after ber death no matter how hard anyone tried to regrow them and I started to see my younger self sitting in the dirt with my grandma on her knees humming to the flowers and then me getting up I was probably only 2 or 3! I was giggling and twirling and dancing through the pretty yellows, reds, purples and greens of the flowers and then running and falling at the edge of her lawn and laughing. “Grandma! Grandma it’s such a nice day!” My little self said and I watched her have fun. It was a time when she… When I! Had been so carefree and happy! I turned to my grandma wondering what she would say and she smiled and giggled telling me to have fun while the sun was still up! Get my energy out in time for bed! I answered her as my older self. “Grandma, I miss you?” It sounded like I was quesrioning that answer and then when she looked up at me and nodded and told me I should stay a while I nodded and the vision dissipated. It turned into a vision from when I was around 6 or 7 and I was helping grandpa collect worms with electric rods in the ground. I watched as he told my little self to watch and make sure to catch the worms that came out. I stepped close and the electric rod made me feel shock and he instantly pulled my little me away and told her to be careful but she simply giggled and told him she was olay it only made her feel like she was am electricity pole. He chuckled amd put her back and down and she went for ome of the worms that wiggled from the earth. I smiled and that vision disappeared too. I felt like I had to go, maybe it was the feeling of death coming back to the living or how you feel when you’re being pulled from a dream state but you just can’t seem to wake. I was still in the back yard then I was suddenly standing at the old apple tree near the edge by a cliff area that was covered by trees. I was little again and I was curious about what was over that steep tree filled hill. I went to look over and was suddenly yanked back and being yelled at! I turned my head to see grandma she was scolding me I was maybe 4 years old in thus body and I looked up at her and tears welled up and I hugged her tightly my face borrowing against her warmth and she then hugged me tightly. “Please don’t get too close, you’ll fall honey.” She whispered and I nodded, “I just wanted to see what it lookes like beyond the treeline.” Was what my little voice said and I felt her pulling me back. “You can look but don’t get so close to the edge, you scared me.” She scolded and then I gasped and let tears fall remembering her tellong me that when I was little. I was confused at this… How does one remember being 2 or 3. Thats too young but I seen a memory and I think it was as simple as that something my dream wanted me to see. Of course it could have been distorted, I would dance in her garden sometimes and I always had free rain to go to the edge of the lawn and down by the bridge with my brothers! One time I had snuck down to bridge by myself and gotten scolded but it wasn’t aharsh scolding I was 8 and she didn’t think it was too far we were right next to it not even by 5,00p feet. We always would walk around 2-3 miles for our afternoon walk and the road was through a forest of trees. Once she couldnt hold back ger laughter because a pheasant and dear had jumped out and scared me till I had to grab my heart and bend at the knee to calm my heart from racing. She thought it was a funny reaction. She told me about how my father loved racing through the woods and clearing a fence with no fear at a dead sprint like it were a hurtle, later on I heard from many that knew him as young said it were truth! Now back to the dream. We were standing by the edge of the hill covered in tree’s and then we stood and she put out her hand I smiled and took it and as we were walking back I grew back to my age I am now and she stopped me and turned me towards her. “Time to leave.” She whispered anx pulled me to her. Tears poured out and as she vanished so did her warmth and I awoke from the dream fully alert and surprisingly not afraid but my pillow and my face was washed in wet tears. It felt so real and like it was too quick. I really feel like I was visiting with her through my dreams and she was trying to comfort me. I only wish that I got to see my brother too. He deceased in September of 2016 and I wosh he would come to my dreams too. My grandma has been in my dreams a number of 3 times since her death in 2010 and he only once but with him we didn’t speak I only cried and cried and the pain of losing loved ones will never get easier the only thing that eases the pain of death is time and talking about it. I believe that dreams are a gateway to those sorts of things. I don’t know if its just memory surfacings or if it’s really them there to comfort you but if you can dream you’ve got the world in the palms of your hands. Dreams are a way to our souls and how we can connect once again. This dream I had was of many homes that are unfamiliar. But I was in the back yard of one. But I could see the back of the other homes with their yards, without fences. They were old small houses with moss on the roofs. I’m curious of this dream because I can remember it really well. I had a dream that I was in some rich peoples homes. There was a thick bullet proof glass door, that lead to the outdoors. I also saw thick solid wood bedroom doors. I aske the person about the thick glass doors. I inquired as to why the class is thick, because someone could shoot through it. The person said that it was bullet proof. She said that is why there were solid thick bedroom doors also. I saw a handsome gentleman. I told her that I wanted someone in my life. I began to cry, and then I woke up with pain in my wrist and tingling in my left hand (I have carpal tunnel anyway).